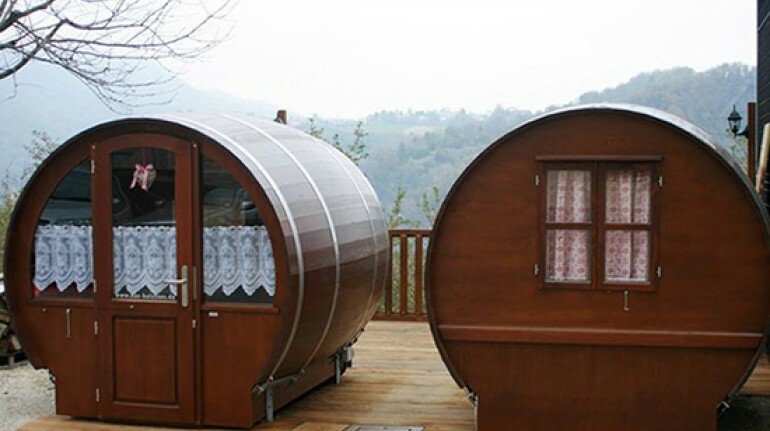 A B & B environmentally sustainable among the hills of the Marche, just outside the Sibillini Mountains National Park, 10 minutes from Ascoli Piceno and half an hour from the beaches of San Benedetto del Tronto, where you can also sleep in a barrel! 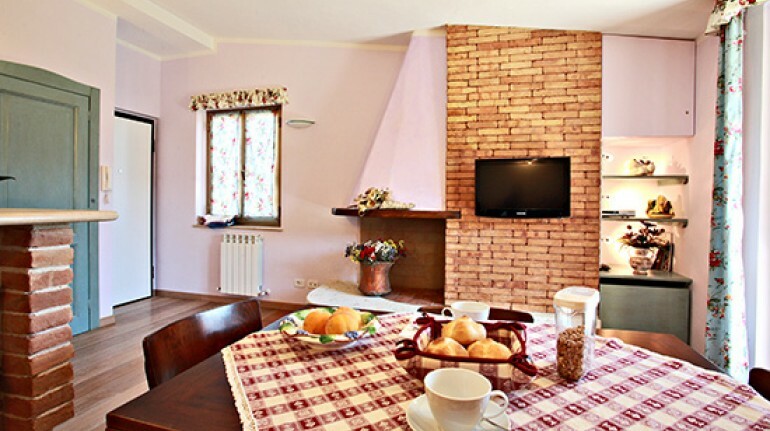 Cozy B & B at the gates of the National Ecological Park of the Sibillini Mountains, close to Roccafluvione and 10 minutes from Ascoli Piceno. Dei Marsi refuge offers its guests free bike rental for exploring the surroundings slowly, and an elegant relaxation area with sauna and whirlpool. 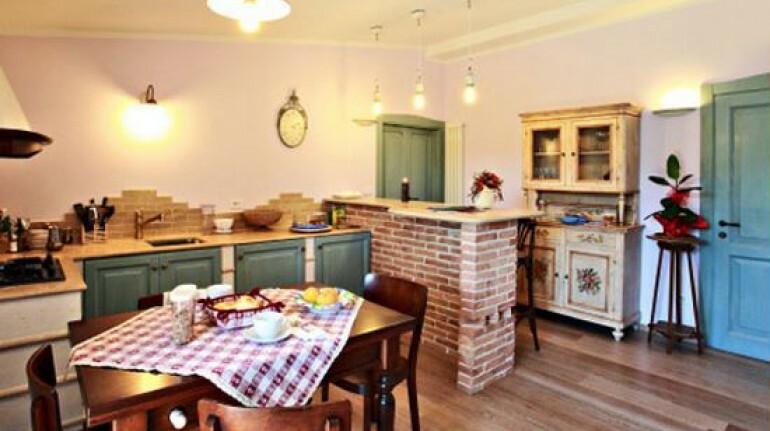 Each room is decorated in pastel colors, has wooden floors and a private bathroom with hairdryer. The master bedroom also has a Jacuzzi. 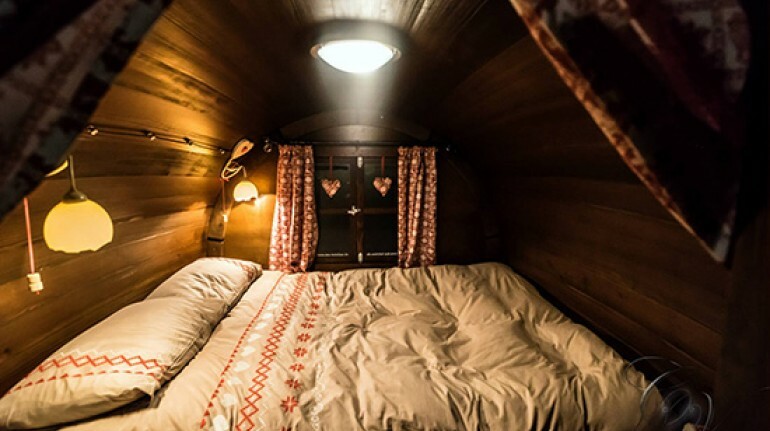 Alternatively you can choose an unusual and romantic accommodation: a wooden room built inside a real beating. From the window of your room door barrel you can appreciate the beautiful landscape of the Marches. One of the rooms barrels also offers a small living area and a small private bathroom. Breakfast includes homemade food and organic produce from the family farm. Guests also the kitchen, and the fridge with juice, yogurt and jams. 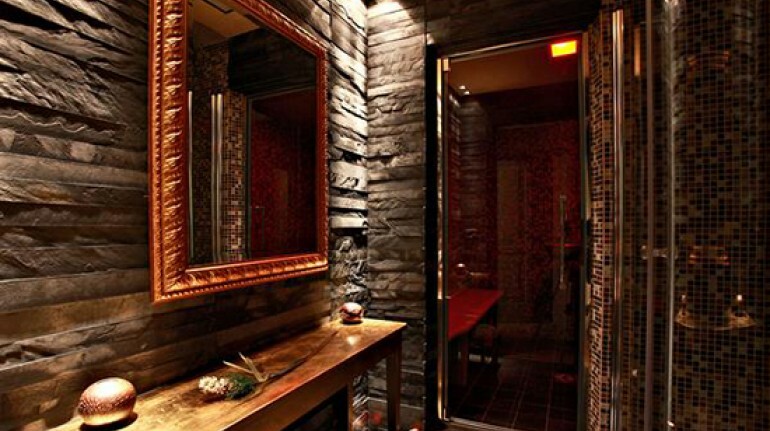 Spend moments of relax in the turkish bath with chromotherapy, on the terrace with panoramic views over the hills, and in the small library full of guides and books to discover the territory. The landscape will leave you breathless: on the one hand you can admire the Mount Ascension on the other side of the Mountain of Flowers. The location of this eco-friendly B & B is perfect for a holiday between sea, nature and art. A half hour from the B & B dei Marsi The refuge can visit San Benedetto del Tronto, with its beaches and dive into the Adriatic sea. Alternatively you can choose an adventurous journey through the mountains of Laga or in the Sibillini Natural Park. In the period of truffle harvest (November-March) you can participate in guided tours in truffle accompanied by Ezio and his dog, enjoying the excitement of research. For our guests there are mountain bikes to ride through nature trails and after a long bike ride, you can relax in the luxurious turkish bath with color therapy. The bed and breakfast do not miss the church of Santo Stefano di Marsia with inside the crypt, the Pedara church, and Meschia, an enchanting village of chestnut trees where it seems to relive a fairy tale with gnomes and elves. 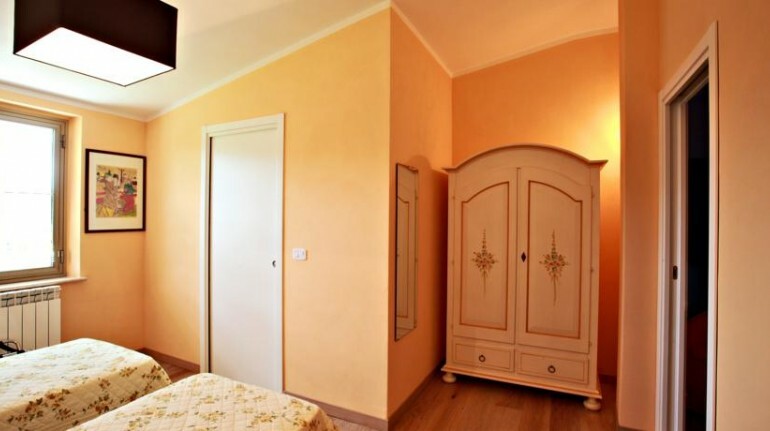 Un B&B eco-sostenibile tra le colline Marchigiane, alle porte del Parco dei Monti Sibillini, a 10 minuti da Ascoli Piceno e mezz'ora dalle spiagge di San Benedetto del Tronto, dove puoi anche dormire in una botte! Un'accogliente Bed & Breakfast ecologico alle porte del Parco Nazionale dei Monti Sibillini, vicino a Roccafluvione e a 10 minuti da Ascoli Piceno. 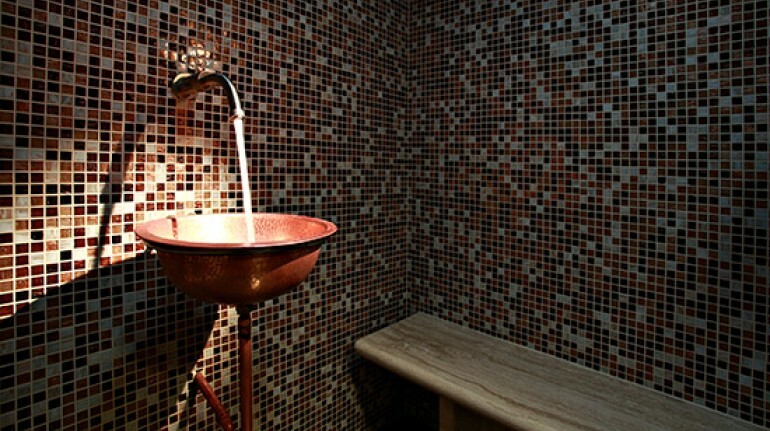 Il rifugio dei Marsi offre ai suoi ospiti il noleggio biciclette gratuito, per esplorare i dintorni con lentezza, ed una elegante zona relax con sauna e idromassaggio. Ogni camera, arredata con tonalità pastello, ha pavimenti in legno, bagno privato con asciugacapelli. La camera padronale ha anche una vasca idromassaggio. In alternativa potete scegliere una sistemazione insolita e romantica: una camera in legno ricavata all'interno di una vera botte. Dalla porta finestra della vostra camera botte potrete ammirare il bellissimo paesaggio marchigiano. 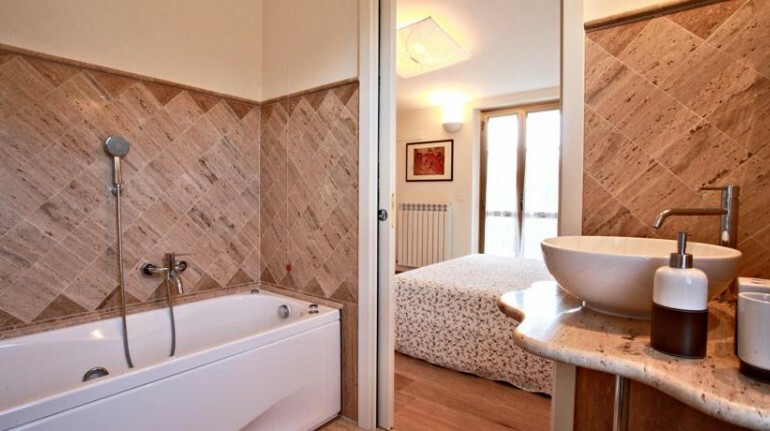 Una delle due camere botti offre anche una piccola zona giorno e un piccolo bagno privato. A colazione potrete gustare cibi fatti in casa e prodotti biologici della fattoria di famiglia. A disposizione degli ospiti anche la cucina, e il frigo, con succhi di frutta, yogurt e marmellate. Potrete trascorrere momenti di relax nel bagno turco con cromoterapia, sulla terrazza con vista panoramica sulle colline, o nella piccola biblioteca ricca di guide e libri per scoprire il territorio. Il panorama vi lascerà senza fiato: da un lato potrete ammirare il Monte Ascensione, dall'altro lato la Montagna dei Fiori. La posizione di questo Bed & Breakfast ecologico è perfetta per una vacanza tra mare, natura e arte. 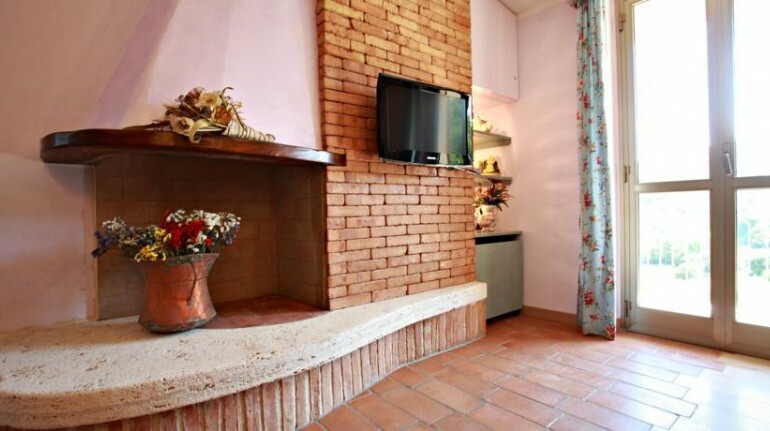 A mezz'ora dal bed & breakfast Il rifugio dei Marsi potrete visitare San Benedetto del Tronto, con le sue spiagge, e tuffarvi nel mare Adriatico. In alternativa potete scegliere un itinerario avventuroso tra i monti della Laga o nel Parco Naturale dei Monti Sibillini. Nel periodo della raccolta del tartufo (da novembre a marzo) potete partecipare ad escursioni guidate nelle tartufaie accompagnati da Ezio ed il suo cane, gustando l'emozione della ricerca. Per i nostri ospiti ci sono mountain bike da guidare attraverso percorsi naturalistici e dopo una lunga passeggiata in bicicletta, potrete rilassarvi nel lussuoso bagno turco dotato di cromoterapia. Vicino al bed & breakfast non perdetevi la chiesa di Santo Stefano di Marsia con all'interno la Cripta, la chiesa di Pedara, e Meschia, un borgo incantato tra castagni secolari dove sembra rivivere una fiaba con gnomi e folletti. It has been noticed: Organic or Local Food, Energy saving lights, More than 80% waste recycling. A day not to be forgotten, beautiful, simple, reassuring that resembles its places and its people, this is the feeling you feel once you reach half. All perfect from the sympathy of the spacious and cozy barrel to that of the owner ... a breakfast prepared by his wife really good and precious, made of tasty things and so abundant to have a full belly all day! We will certainly return because every so often the little boy who is in us needs care and play. Una giornata da non dimenticare, bella, semplice, rassicurante che assomiglia ai suoi luoghi e alla sua gente, questa è la sensazione che si prova una volta raggiunta la metà. Tutto perfetto dalla simpatia della botte spaziosa ed accogliente a quella del proprietario...una colazione preparata da sua moglie davvero buona e preziosa, fatta di cose gustose e talmente abbondante da avere la pancia piena tutto il giorno! Torneremo certamente perché ogni tanto anche il fanciullino che è in noi ha bisogno di cure e di gioco. It has been noticed: Organic or Local Food, Energy saving lights, Ecological cleaning products, More than 80% waste recycling, Water flow reducers. The room was very comfortable and clean with views of the surrounding hills. The impeccable welcome of the hosts made the short stay very enjoyable and rich in exchanges of experiences and knowledge. Informative material on the territory and eco-cosmetic products available to guests. La camera molto confortevole e pulita con vista sulle colline circostanti. L'accoglienza impeccabile dei padroni di casa ha reso il breve soggiorno molto piacevole e ricco di scambi di esperienze e saperi. 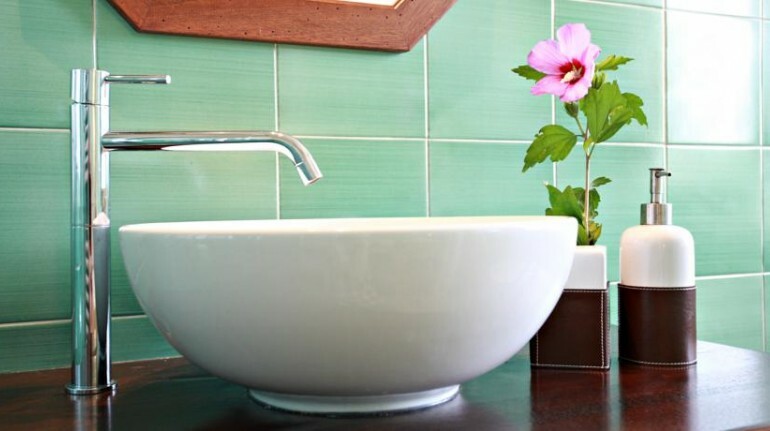 Materiale informativo sul territorio e prodotti di ecocosmesi a disposizione degli ospiti. It has been noticed: Energy saving lights, Ecological cleaning products. I met Alessandra and Vincenzo, two people with whom I spent a few hours together in the morning at breakfast, shared and exchanged information on biodynamic, organic and much more farming as they are holding a biology store called biol @GICA and is located at Bari's mill. ho conosciuto, Alessandra e Vincenzo, due persone con le quali ho trascorso qualche ora insieme la mattina a colazione, abbiamo condiviso e scambiato informazioni sull'agricoltura biodinamica, sul biologico e tanto altro visto che sono titolari di un negozio di biologico che si chiama biol@GICA e si trova a mola di Bari. 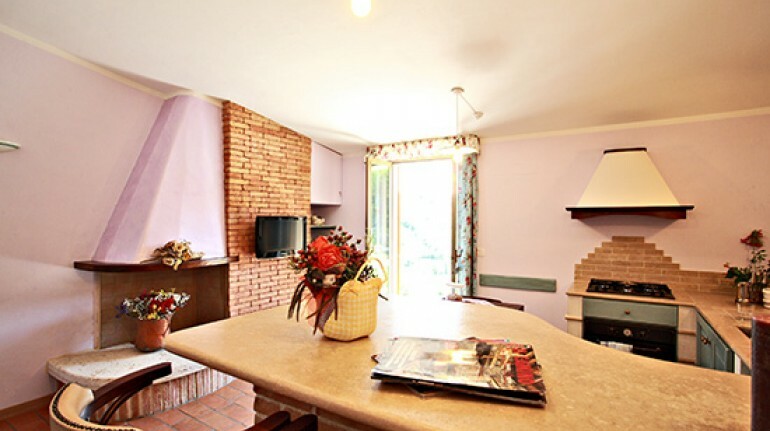 Il Rifugio dei Marsi is a bnb family-run, in a building owned perched in a suburban area of ​​Roccafluvione. The first thing you notice, coming, are the two barrels where you can stay. But we did not choose that solution not being suitable for 2 adults + 2 children. We were placed in a triple + cradle, not too spacious but then we would have used for sleeping only. 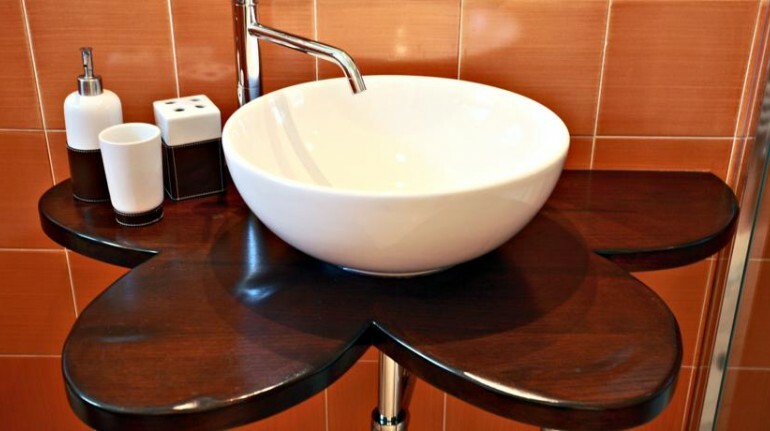 The bnb opens onto common space, a kitchen with a beautiful peninsula, a wicker bench to sit and watch tv or consult books and maps provided by Norma, the manager of the bnb. Norma welcomed us warmly, and was available to give us advice on where to go / what to do with children, and to call for various structures to get information from us. That same space is where the morning you can have breakfast with homemade cakes, coffee / tea, yogurt (optional), fruit juices and homemade jams. The upside is that the kitchen is accessible 24 hours a day, and the cakes and juices are always available! Ah, there is a small refrigerator where you can, if necessary, leave their own food (great with kids). The location is convenient for both the sea and to visit the area, Ascoli is a 15-minute drive, Mouth / Montemonaco to a half an hour by road. Note, that I hope will help other customers: Rifugio dei Marsi is located in both the Ecobnb circuit than in other networks, like Airbnb. While Airbnb automatically calculates the total of the night considering length of time and numbers of guests, the confirmation of the total cost made by Ecobnb is based only on what was sent to the site by the managers. The advice is to always ask for confirmation that the one highlighted is the total price for your stay and not the "price per night". A phone call or a message more between client and manager can avoid any misunderstandings at the check-out. Il Rifugio dei Marsi è un bnb a gestione familiare, in una palazzina di proprietà abbarbicato in una zona periferica di Roccafluvione. La prima cosa che si nota, arrivando, son le due botti dove è possibile soggiornare. Ma non abbiamo scelto quella soluzione non essendo adatta a 2 adulti + 2 bambini. Siamo stati sistemati in una tripla + culletta, non troppo spaziosa ma del resto l’avremmo usata per dormire soltanto. Il bnb si apre sullo spazio comune, una cucina con una bella penisola, una panchina in vimini per sedersi a guardare la tv o consultare i libri e le mappe messe a disposizione da Norma, la responsabile del bnb. Norma ci ha accolto molto calorosamente, ed è stata subito disponibile ad offrirci consigli su dove andare/cosa fare con bambini, e a telefonare alle varie strutture per avere informazioni da darci. Quello stesso spazio è dove al mattino è possibile fare colazione con torte fatte in casa, caffè/tè, yogurt (a richiesta), succhi di frutta e marmellate fatte in casa. Il lato positivo è che la cucina è accessibile h24, e le torte e i succhi sono sempre a disposizione! Ah, c’è un piccolo frigorifero dove poter, all’occorrenza, lasciare il proprio cibo (ottimo con i bambini). La posizione è comoda sia per il mare che per visitare la zona, Ascoli è a 15 minuti di auto, Foce/Montemonaco a una mezz’ora circa di strada. Nota, che spero possa aiutare altri clienti: il Rifugio dei Marsi si trova sia nel circuito di Ecobnb che in altri network, come Airbnb. 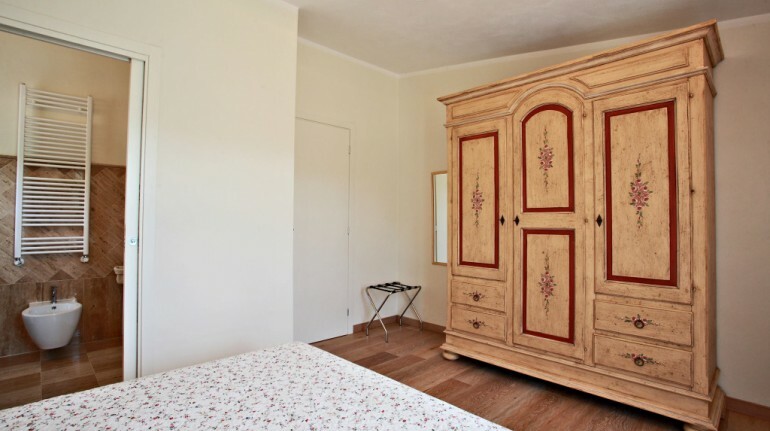 Mentre Airbnb calcola in automatico il totale del pernottamento considerando durata del periodo e numeri di ospiti, la conferma del costo totale fatta da Ecobnb si basa solo su quanto inviato al sito dal gestore della struttura. Il consiglio è di chiedere sempre conferma che quello evidenziato sia il prezzo totale per il vostro soggiorno e non il prezzo “a notte”. Una telefonata o un messaggio in più tra cliente e gestore possono evitare eventuali malcomprensioni al momento del check-out. It has been noticed: Organic or Local Food, Energy saving lights, Water flow reducers. David, his wife and their lovely children were guests in our home for two nights, people very polite and respectful. Davide, sua moglie e le loro deliziose bambine sono stati ospiti nella nostra casa per due notti, persone molto educate e rispettose.